Ukrainian authorities broke with tradition this year, opting for a modest celebration of the 72nd anniversary of the victory over the Third Reich in World War II which did not include a military parade or fireworks, a stark contrast to how the holiday is commemorated in Russia. Instead, Kiev has been focused on Eurovision. Official events linked to the Victory Day in Ukraine were limited to the flower laying ceremony at the Tomb of the Unknown Soldier and the oath-taking ceremony of recruits of the Ukrainian Armed Forces. President Petro Poroshenko took part in both. 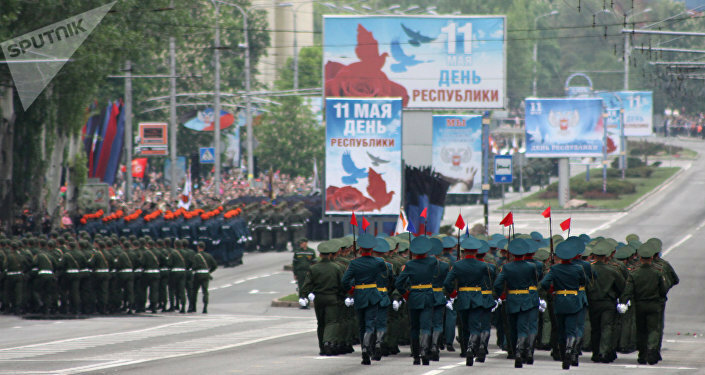 Areas that previously hosted Victory Day parades, concerts or field kitchens, are now used to celebrate Eurovision, an international TV song competition which takes place in Ukraine this year. For instance, Kiev's main street Khreshchatyk was chosen for the Eurovision Village, the official fan zone of the contest. This choice might have upset many, but it is part of a larger trend. In recent years, Ukrainian authorities have tried to replace Soviet traditions with what they view as pro-European ones as part of the de-communization process launched in 2015, a year after a foreign-sponsored coup forced democratically-elected President Viktor Yanukovych out of power. As part of this initiative, they introduced the day of remembrance and reconciliation for those who lost their lives during the Second World War marked on May 8, the day that many European countries celebrate Victory in Europe Day. Although Victory Day is still a national holiday in Ukraine, official events linked to the victory in WWII take place a day earlier. Moreover, Kiev is expected to turn May 9 into a workday, much to the veterans' discontent. "We, the veterans, are fiercely opposed to making May 9 a workday. We urge to retain its current status as a holiday. Ukraine lost 7 million people [during the war]. More than 2,000 heroes of the Soviet Union are Ukrainians," Nikolai Martynovich, who heads Kiev's organization of veterans, said. 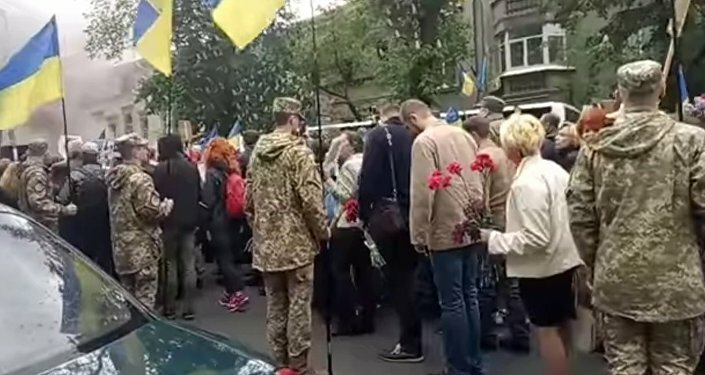 Under these circumstances, the Immortal Regiment commemorative march became the focal point of the Victory Day celebrations in Ukraine this year. However, in Kiev, the event was overshadowed by a group of people who prevented several thousand participants of the march from entering the Park of Eternal Glory, the final point of the route. The Immortal Regiment marches are held in Russia and other countries on Victory Day to commemorate those who died in the Second World War, with relatives carrying their portraits.